—Wall Street Journal, quoting Harry Markopolos letter to the U.S. Securities and Exchange Commission, 1999. Like most people in this business, we here at NotMakingThisUp knew next to nothing about Bernie Madoff or the Madoff Family of So-Called Funds, until, oh, Thursday morning. Now, you would think that a guy who ran $50 billion would be pretty well known among hedge fund types and other money managers. You’d think that the head of a firm claiming to handle more money than Mario Gabelli—one of the most relentless stock hounds we’ve ever known (we last saw Mario presenting at a Merrill Lynch conference; before that, he was grilling the locals at the Berkshire Hathaway annual meeting)— would cut a regular figure on the investment circuit. You’d expect, over the course of a decade or two in the business, to run into somebody from the joint—a marketing guy, an analyst, a portfolio manager—somewhere. But we never did. Not at a conference, not at the Berkshire Hathaway annual meeting, not even listening in on an earnings call or two. 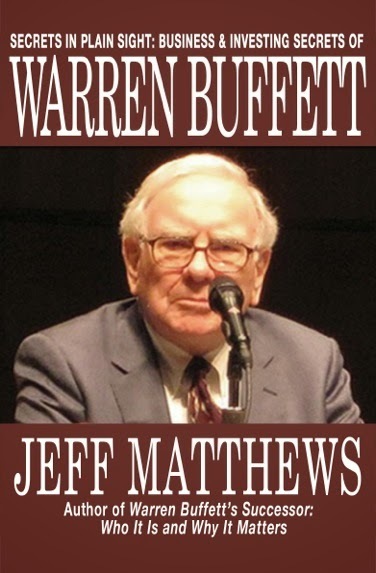 Of course, Madoff’s methodology was, supposedly, of the “black box” kind—buying stocks and selling options using top secret algorithms—so there was no need to be on an earnings call, let alone schlepping out to Omaha to listen to Warren Buffett. Still, you might think the general lack of something visible going on behind the curtain at Madoff would have raised some red flags among regulators—i.e. the people who are supposed to protect investors from scams. You might think a supposed $50 billion fund with audited statements from an unknown accounting firm with no web site might, oh, raise some eyebrows. Harry Markopolos, who years ago worked for a rival firm, researched Mr. Madoff's stock-options strategy and was convinced the results likely weren't real. "Madoff Securities is the world's largest Ponzi Scheme," Mr. Markopolos, wrote in a letter to the U.S. Securities and Exchange Commission in 1999. Harry Markopolos may be today’s version of Hamlet’s Ghost. Recall that as that play, “Hamlet,” opens, Hamlet’s dead father appears as a Ghost, telling Hamlet how his own brother (Hamlet’s uncle) killed him in the garden, took his crown and married his wife (Hamlet’s mother). Hamlet intuits the Ghost is telling the truth—but then spends then next two hours trying to make up his mind whether the Ghost is the real deal, or just telling Hamlet what he wants to believe. Mr. Markopolos pursued his accusations over the past nine years, dealing with both the New York and Boston bureaus of the SEC, according to documents he sent to the SEC reviewed by The Wall Street Journal. And Markopolos wasn’t the only one to have doubts. At least one hedge fund advisor, Aksia’s Jim Vos, saw Madoff for the scam it appears to have been by—sacre bleu!—investigating Madoff’s accounting firm and discovering that is was housed in a strip mall…and had just one accountant. But it was not merely sharp-eyed investigative types who saw what was happening well before the Feds. Now, we are not writing to dwell on the regulatory bumbling that led to our friend’s client losing whatever he invested in Madoff. Nor do we celebrate the loss of billions by rich numbskulls who got swindled here, for it is not merely rich numbskulls that will lose fortunes on this catastrophe. We know of a nearby town that is losing $42 million of its police, fire and town employees’ pension money—14% of total assets—to Madoff’s apparent scam. Instead, we seek to answer the question that has been asked of us over and over again: how did this happen? How is it possible for people to have believed this guy? People simply want to believe good stuff, not bad stuff. It's human nature. Investors wanted to believe Enron’s numbers were legit. They wanted to believe AIG’s earnings were real. They wanted to believe Fannie Mae and Freddie Mac could grow earnings 15% forever. And we don’t mean your average day-trader. Big names with the resources to conduct their own due diligence into Enron and AIG and Fannie Mae, but did not. Famous investors who should have known that a natural gas trader couldn’t deliver consistent earnings without resorting to fraud, as Enron did; or that the U.S. housing market could not compound at 15% a year forever, period, as Fannie Mae's books seemed to suggest. So how did Madoff happen? Simple: enough people wanted to believe it that it happened. And not even Hamlet’s Ghost—or Harry Markopolos, for that matter—could have stopped those people from believing it. I wish more people would do as you just did and examine the reasons why people do the things they do with their money. Human investing behavior is even more interesting than making money. Equity-like returns with bond-like variance? Check. Manager has verifiable reputation? Check. Manager has industry cred? Check. Manager has stake in the portfolio and management company? Check. Strategy has institutional capacity? Check. Fund has long term investors? Check. Believing something that's too good to be true isn't? Priceless. I'm just a bozo fascinated by this story, and I just wanted to note that is some of the most interesting commentary I've yet found. Good job, Jeff Matthews. Great stuff as always. Here's my poke at the Madoff fraud. "Is Ben Bernanke Charlie Ponzi's Lovechild"
Hello Jeff, always love to read your stuff, but on "Madoff" you are following the crowd. Why not set out to find the real problem? Madoff leveraged up his fund. $17B was levered to $50B. Who made these loans which were 2x the investor money? Pondering that and we arrive at the real story. Where is the NY Fed? After all, those banks were reporting impaired assets, loans to Madoff, as if they were totally healthy. They had to do their due diligence, but obviously were not. Worse, regulators were supposed to be auditing these firms. Yet these loans, among the biggest of the big, were given the blessing of good health! Which brings us to the real story today. This is not about the failings of the SEC. Mr. Giethner ran the NY Fed. The financial mess of the whole industry is at his doorstep. The loans made to Madoff are also the responsibility of the NY Fed - again, focus on the loans, not the invested dollars. By pondering the loans, you break free of the herd heading for the cliff. Mr. Geithner doesn't deserve to be US Treasury Secy. He belongs on the hotseat. 1. Madoff did not operate a hedge fund. 2. Madoff did not "lever" the assets to $50B. 3. The $50B, as far as we understand it, is the purported value of assets controlled by Madoff, not a real asset value. It is an entirely ficticious number. 4. While Madoff's investors certainly may have leveraged their investment in Madoff, it is not the case that Madoff himself had levered from $17B to $50B, as stated here. We publish the comment with the caveat that it is based on a faulty understanding of what occured, unless we are wrong in our own understanding of the case. >"Is Ben Bernanke Charlie Ponzi's Lovechild"
That has to be the 10 trillion dollar question on which has been bet By Bernanke and Company, pretty much all of America's future. Personally, I think he is (the Lovechild) and that his actions will probably have the same result as Madoff's Ponzi Scheme. To wit, the money that everybody claims is out there to spur America forward (which looking at the $700 plus billion may or may not be repayable) seems to be out to lunch, all the way down to the bum on the street seeing a marked decrease in the number of aluminum cans to be collected for refund. while my first instinct is that investors in Madoff's fund were blinded by their own greed, and saw no reason to ask questions as long as returns were steady, I find myself asking "How would I have been able to detect this if i were an investor?" I'm also a Markopolos fan, but I fear you haven't actually read Hamlet. To say that Hamlet spent "the next two hours" of the play trying to figure out if the ghost was telling the truth betrays not only a shallow understanding of a very complicated play, it ignores all sorts of factual aspects within the play that show that Hamlet had in fact decided to take action - I mean, he stabs Polonius TO DEATH for God's sake very early on in the play, mistaking him for Claudius. So, uh, nice try. But re-read, Mr. Smarty-pants. The "Anonymous" who takes us to task for a shallow knowledge of Shakespeare's Hamlet--i.e. no knowledge at all--might want to bone up on his Hamlet. Hamlet does not kill Polonius until Act 3, Scene 4, just after Hamlet has staged the play referred to in our blog, in which the Players re-enact Hamlet's father's death, causing Claudius (the killer) to, for lack of a better term, freak. Watching Claudius freak, Hamlet knows Claudius really did--as the Ghost has said--kill Hamlet's father. This is the 11th scene in a 20 scene play, and is nowhere near to being "very early" in the play, as stated in the comment referenced above. Our two hour estimate of Hamlet's dithering was not plucked out of thin air. A well-done Hamlet is a four-hour production: thus, to say it takes Hamlet two hours to make up his mind to kill the King is about right. In Hamlet, Shakespeare said pretty much everything there is to be said about human nature, in language that has never been matched. And as Bernie Madoff proved, most unfortunately, things haven't changed much in 500 years. You may want to "bone up" on your definition of "shallow", which, contrary to your offended interpretation, does not mean nil, or no, or none. Furthermore, you betray the shallowness of your understanding of basic timing in your insistence that the stabbing of Polonius occurs in the 11th scene of a 20-scene play, and thus should occur two hours into a four-hour production. As anyone who's read the quartos or who's seen the play performed in its entirety is aware, not all scenes are the same length of time. So, the fact that it occurs 11th out of 20 scenes does not place it exactly halfway through a four-hour production. More seriously, your "two-hour" estimate betrays your solipsistic view of the work itself. You should be measuring the delay not in terms of the time you had to fidget in your seat, convincing yourself that you understood the play, but in terms of the time as it related to Hamlet's actual delay. Not a matter of hours but possibly a matter of days, and still much less time than the time spent between the stabbing of Polonius and the play's final denouement. Doh. Further, there is hardly one single interpretation of Hamlet's delay in killing Claudius. You have chosen to give it a rather 20th century interpretation, but in earlier eras, it was largely assumed that Hamlet delayed - and acted "madly" - in order to disguise his true intentions. It was not that he was tormented, but that he was manipulating those who spied over him. This was, in fact, the basis of the existing plot on which Shakespeare based his great play. Lastly, I wonder if you are merely trying to cover for the fact that the appropriate ghostly reference in the Madoff story is the more quotidian "Ghost of Christmas Future" via Dickens. But people tire of that, and you deserve some praise for digging up Hamlet and, uh, misapplying it. It's your expectation that your audience is somehow so bedazzled by your Madoffian "black box" of Shakespearean references that they will ignore your errors that is so amusing. Is he ripping you off, are you ripping him off, do you have the same clearinghouse, or are you two just the same person? Who knows how far up the food chain this thing goes, some very important people must have been turning a blind eye yet Madoff will probably be the only fall guy which is disgusting. I hope this is thoroughly investigated and all those involved in covering it up are prosecuted. And you hear people going on about 3rd world country corruption! "Anonymous": never heard of Charles Darke, never looked at that URL you posted, and never will. So I have no idea what you're talking about there. As for your having "read the quartos," well congratulations. Personally, I think Shakespeare is better experienced in performance, either at a play or via audio recording, of which there are many excellent versions out there. Reading words on paper, some of which words no longer exist, is quite limiting, as I suspect you'd agree. Also, the plays were written to be performed for paying customers, not to be read by grad students and English majors. As for my interpretation of Hamlet's dithering being a rather 20th Century yadda yadda, how else to explain the fact that Hamlet waits until he is all alone on stage--i.e. fooling no other characters--to say "The spirit I have seen may be the devil..." by way of explaining his need to confirm with his own eyes the King's guilt. Hamlet is still nervous that this Ghost may be tricking him into something. So, I'll stick with my interpretation, and you can stick with yours, which is the great thing about Shakespeare: we all get something unique out of the experience, don't we? The reporting said Madoff levered the funds. Whether this is the truth or not, as you have posited an alternative view, I stand by the regualtory thrust of my post, Mr. Matthews. -> but directed to Madoff's fund. So let's use this as our study focus. Loans have different motivations and responsibilities than investor cash. And loans should be on the books for regulatory oversight. Was this one? Or did HSBC pull a tactic out of the bank playbook that was used with Enron's SPEs? I'll proceed that it was clearly on the books. If it was a la Enron, than this is also breakdown of at NY Fed and its responsibility. A $1B loan should get some regulatory oversight, whether it was made to Madoff or the Fund of Funds. Whose books did the regulator review? How did the regulator determine there were assets there to support a $1B loan? Mr. Matthews, what has occured at Madoff isn't the direct responsibility of the NY Fed or a European Govt. However, any bank that loaned to hedge funds is the direct responsibility of the NY Fed (looking at incoming money flows to the banking system) as well as possibly a foreign Govt. What we have just witnessed is that the NY Fed doesn't have any idea about the quality of loans being made on Wall Street. We're talking $1B in this example. Not chump change. Considering our Govt learns of $10,000 crossing the Canadian border in someone's pocket, we must assign accountability for this $1B flow against a supposed financial asset. Our regulators didn't know the impact of CDOs, they didn't know the Madoff loan impact, I suspect they know very little about the health of Wall Street. And that is why the American Middle Class is being asked to pay for their mistakes. The AMerican Middle Class is not holding the proper parties responsible. We are being brainwashed with unaccountable, "slip through the cracks", "need new laws", nonsense. Mr. Giethner, Mr. Bernanke, Mr. Greenspan and Mr. Paulson, all need to go to set our society back on track. I think I would have titled your piece Bernie Madoff and Reagan's Ghost, using Hamlet as a paraphrase. Like Erik suggested, Bernanke might be Ponzi's lovechild. Because, is not this whole situation related to the idea of a quick way to get a free lunch, even if the lunch costs six trillion dollars? What's $50 billion compared to that pile of losses? Everybody expects a solution from government, and the solution of throwing money that is not theirs at the problem only takes away the ability of citizens to spend their way out of the recession. It is very much the same as when the government allowed the banks to fail in the thirties, only in this case they are driving the individual to failure by putting them further and further into tax debt. In fact, the scenario now haunting us could end up being even worse than the great depression because there seems to be no end to the spiral down. As individuals get poorer and poorer, and as financial institutions only burn the money given to them, there seems to be no answer to the liberal financial policies of Bush 1, Clinton and Bush 2 which got us here in the first place. And I certainly don't expect a superliberal like Obama to figure out how to fix this problem any better. More likely he will exacerbate the issue. I first came in contact with Madoff’s funds back in 1994, when Walter Noel and Jeffrey Tucker, founders of the Fairfield Greenwich Group called on me in London and pitched the Fairfield Sentry fund, managed by the one and only Bernie Madoff. It was the proverbial ‘low-volatility, non-correlated real deal’, generating 60 -150 bps each and every month; I think it had less than six down months in its history. Funny thing was, neither these two gentlemen, with distinguished pedigrees and years of experience courting the HNW and institutional HF crowd, or anyone else associated with the firm, could intelligently explain to me how the firm generated its performance. It was just “look at the track record” — and what a record it was. And low and behold, along comes the Tremont Group, and Kingate Global Advisors ( London) and who knows how many other cockamanie firms ‘private-labeling’ this goof-ball vehicle and raised billions of dollars, charging their clients 1 and 20 (yes, back in the day, that was the going rate). The beauty of it was that they just hired Madoff as the ’sub-advisor’, and went out and touted the numbers, and took in the money, of course not knowing what on earth was going on. To add to the comedy, an associate, with 20+ years in the business in a senior capacity with several major firms, joined Fairfield (years ago) to expand their business and seek other sub-advisory relationships (like Madoff) and raise capital; he hadn’t the foggiest notion as to how the performance was generated, but just harped on the beauty of the track record, and “how could you not invest”…….oyyyyyy CAVEAT EMPTOR. What are the chances that the goverment bails out the investors here? Lot's of very powerful people who lost money - even though i think many thought they were scamming others - and Cox has conveniently come out and said the SEC should have investigated sooner. >"What are the chances that the goverment bails out the investors here?" Investment fraud is tax deductible. Yesterday, I updated my view that the banks, who were lending money for investment in Madoff, indicate that our Federal Reserve system is not working. Those loans were never audited. They were immense. For example HSBC loaned $1B. I know you disagree, and feel the SEC should take full blame, but at the other end of the stick, we see the Federal Reserve inadequately auditing the loan books. So today I'd like to present where the Madoff money went. It's not all lost. Most of it is in plain sight, imo. After all, each year, the investors were given a portion of their money back. I've read the earnings have been 15 - 22%/yr. At 15% money doubles quickly - 5 years. So when a charity, for example, cashed out 10% to disburse, they were getting their "original" money back. It wasn't lost. The greedy investors, who left it in, are saying they lost immense sums, but really, they lost only their initial investment. For most, that sum is incredibly less than their last statement. The rest of what they thought their wealth was, was well... imaginary to begin with. There is no reason to now say they lost a higher sum, which is what newspapers have been printing. For those still with money at Madoff, you may ask "where did it go?". I don't really know where every bit went, but I can tell you who has most of it. All those money intermediaries, like Chais and the fund of fund hedge funds, were getting 1-2% of the sums/year and 10-20% of the imaginary profits. THEY HAVE THE ORIGINAL MONEY. Those Greenwich homes, yachts, Cartier watches - that's where the original money really is. By the 5th year, the original sum has doubled. By the 8th year, it has tripled. Therefore, in the 5th year, the money intermediary (hedge fund manager, investment advisor) was really getting, from Madoff, at least 4% and 6% (20% . 15% . 2) of the original money (if the investor stayed "all in")! At 8 years, the original money disappears amazingly fast (6% and 9%). And these calcs take the reported yearly gains as "net" ones. Much of the original investment money still exists. I've told you where. Pure common sense knows where. But will the Govt collect it for return? Will the Greenwich yachts, homes and jewelry be visited by the repo man? "Anonymous"--switch to decaf, take a deep breath, and recall that Madoff himself called this a Ponzi scheme. In a Ponzi scheme, the so-called "earnings" come from new investors, not from magical 15% compound returns on investments. So, yes, people and charities who took money out were getting some return on their capital. And the advisors were getting fees on phantom assets. But he was never, as it turns out, making those 15% annual returns you're all lathered over. Didn't happen. That was new money going to pay back old investors. And those who took nothing out over the years lost it all. I'll give you one for-instance: the Town of Fairfield CT invested $22 million with Madoff, and thought it had grown to $42 million. So the town's pension plan is out $22 million real dollars. That's what a Ponzi scheme is. Let me not skip steps. You are not following me. Every year, Madoff reported his 15% profits. Every year, his fake statements compounded the fraud. Every year, the hedge funds and investment advisors got their 1/10, 2/20, or other split on fictituous sums. Going back to the "original money", their % of compensation kept growing as a % of original money placed. I would say that is why Madoff had to go to Europe to continue the fraud. He had to have more and more outside money. I'm well rested. Definitely not out of breath. What we have here is a failure of society. Our society, enamored of money for far too long, no longer can understand how easy it is to be defrauded. And because of that, we don't see the how to set things right. Our Govt should immediately claw back the 1/10, 2/20, whatever payments fraudulently conveyed to the Ponzi shills (hedge fund managers, investment managers, etc.). They may have been unwitting receipients, but just the same, they received the stolen funds. Jeff... do you have a problem with this? Or are you one of those types that feel its OK to steal in finance but not in other occupations? I ran some numbers. But first, I must say Bernie Madoff was a victim of compounding. He ended up as a criminal who fed his takings to hedge fund managers! Compounding works against any Ponzi criminal, as most of us inherently know. But in the Madoff Ponzi scheme, it works for the outsiders - the hedge fund types. Assuming Madoff averaged 15% net profit to investors (its written between 15 and 22%/yr), an original investment, using a simple model, grows to 9.4 after 16 years. This assumes no money being taken out. 8.4 being imaginary, but still on the statement to the customer. However, Madoff had to pay off the hedge fund management on the original 1 plus the imaginary 8.4! A hedge fund at 1%/yr and 20% of profits, would have raked in 2.6 for every original dollar invested. As each year ticked by, Madoff was serving the hedgie god, not himself. His Ponzi scheme had a terrible leak no one in public is focusing on. While all the talking heads are focused on the traditional Ponzi leak, no one is focusing on original twist Madoff added to the Ponzi game: the outsider leak - the money going to the hedge fund management! Insiders ended up working for outsiders! Yes, this simple model can be tweaked. There were takings by the investors, maybe profits will be found to be different, but there's no mistaking that the compounding worked in the favor of the shills who brought Madoff money, the hedge funds. Huge sums of the defrauded funds reside at the hedge funds. They weren't victims like many others. Greenwich Financial can claim to have lost $7B+, but really, that should be discounted by the fees it was raking in. All this Hamlet talk reminds me of the time a girlfriend took me to see a performance of it at Harvard's Rep Theatre or something. Uncle Claudius was played by none other than Mark Metcalf, aka Neidermeyer from Animal House. Did a great job though I kept expecting him to shout out "what is that, a pledge pin on thoust uniform"
So today Wells Fargo joins the likes of HSBC and Santander and declares they loaned money that can't be repaid by customers of Madoff. What is interesting is that WF doesn't tell us just how they loaned this money. Was it for hedge funds to lever up their Madoff investments? Was it for a person, who had wealth at Madoff, to buy a new piece of equipment or a company? I think the obtuse nature of the WFC release means its got a considerable portion of the former. If so, what US regulator didn't investigate the huge loans ending up with Madoff? And I'll reiterate, what international regulators did the same for loans from the European Banks? In other words, this is not just about the SEC. If the Federal Reserve and Treasury can track down $10,000 transfers, under the guise of protecting the homeland from drug traffiking, how were they protecting the banking system by determining health of the $billions of loans to a fictitous investment scheme?